Burglary, Robbery, and Theft: What’s the difference? You have probably used the words interchangeably for years. They all mean the same thing, don’t they? If you have had something taken from you, it doesn’t matter whether if you call it burglary, robbery or theft, right? It also covers theft with the intention of using the stolen material as blackmail, or to use it for fraudulent purposes. Robbery comes into play when force is used (or threats of force) to remove the item in question from its owner. This can be via violence, physical restraint, or using fear to scare someone into giving up the items. This crime can be proved just with intent – no item has to be stolen, there just has to be evidence that the aggressor intended or attempted to steal items via force. 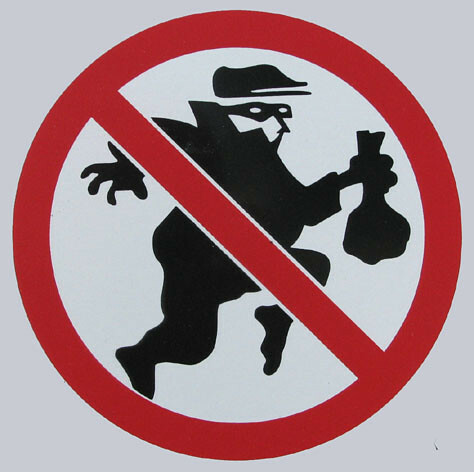 Burglary happens when somebody breaks-in to a building, without permission, with the intent of stealing. The burglar doesn’t have to force his way inside, as sneaking in threw an open window also counts as breaking and entering. As with robbery, nothing has to be stolen to prove burglary – only intent to steal.